“Arrested” for creating a disturbance during a presentation! Virginia Girls State is a program of American Legion Auxiliary, the world’s largest women’s patriotic service organization. For nearly a century, the American Legion Auxiliary has been serving, helping, and meeting the needs of our nation’s veterans, military, and their families — both here and abroad. The theme of the 2019 session is Leadership — With Great Power Comes Great Responsibility. Within the Commonwealth of Virginia, for one week each year, a new state comes into being. The physical boundaries of this “state within a state” are the limits of a college campus, but there are no limits to its usefulness in promoting real-life citizenship in Virginia. 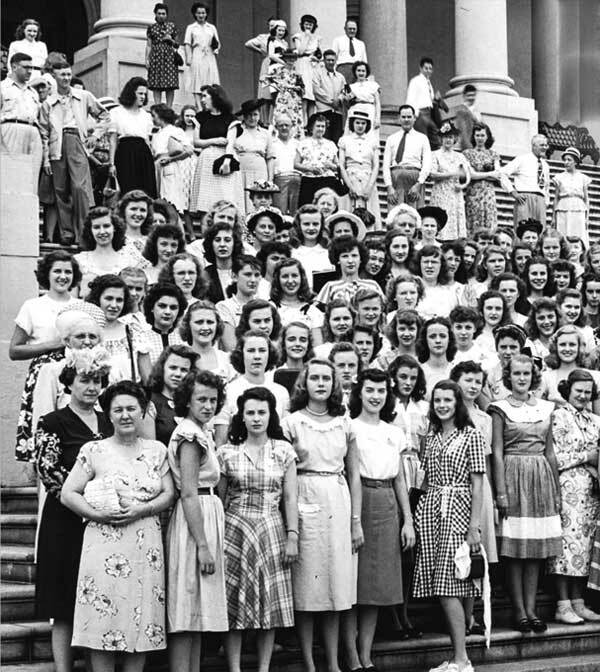 Since the inception of the American Legion Auxiliary Girls State program in 1937, nearly one million young women nationwide have had the opportunity to learn firsthand how their state and local governments work. The program has grown to some 20,000 participants annually. This adventure in Americanism is sponsored annually by the American Legion Auxiliary with the cooperation of many civic clubs, school groups, and community-minded businesses. Through this program, the American Legion Auxiliary hopes to make our young citizens realize that they are an essential part of their government and are responsible for its character and success. Through it, we seek to teach them individual responsibility to the community, state, and nation. 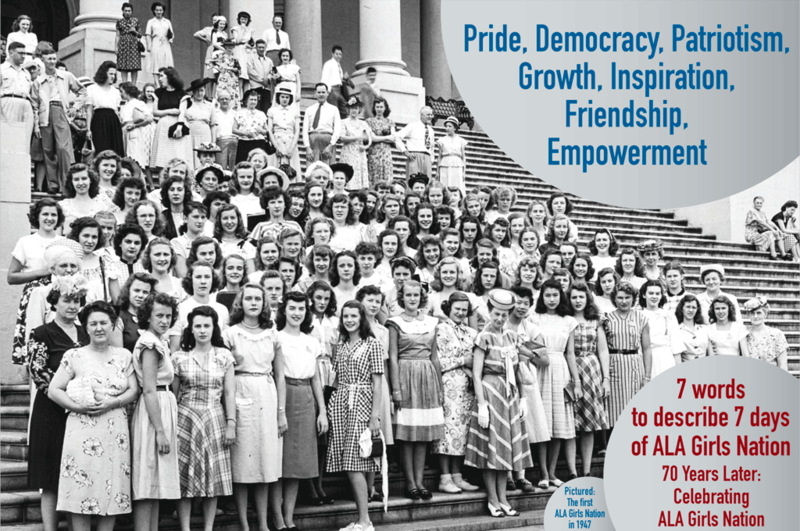 ALA Virginia Girls State provides participants an opportunity to learn, in a few days, the mechanics, objectives, and ideals of democracy. “Learning by doing” is the keynote to the success of this program. Moving in on the first day is exciting! Participants must have completed their junior year of high school and have at least one semester of high school remaining to be eligible to participate. Candidates for Virginia Girls State are chosen through an interview process conducted by your local American Legion Auxiliary Unit. Candidates are evaluated based on their leadership abilities, interest in government, service to others, and academics. For more information contact your District Registrar. 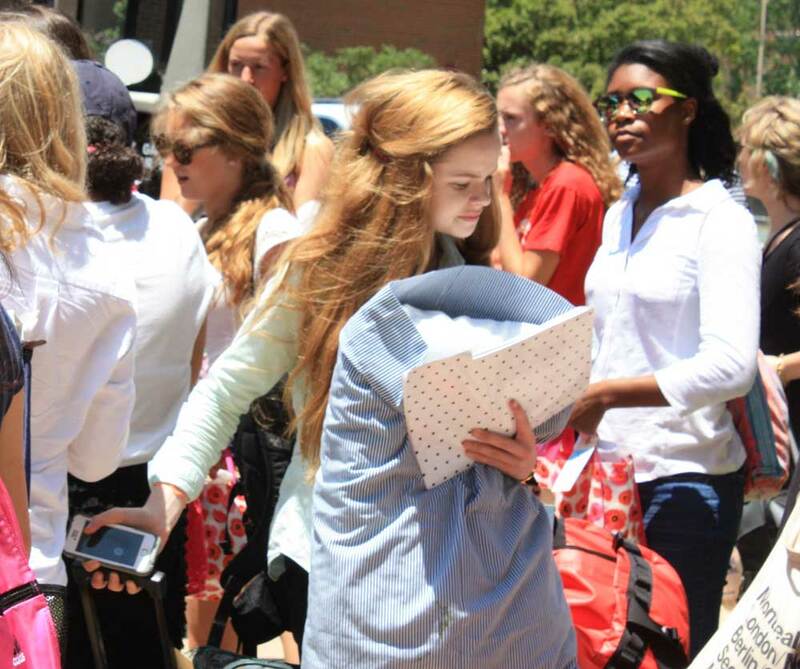 Homeschooled students are eligible to attend Virginia Girls State. The teaching parent must be educating under the Commonwealth of Virginia Guidelines for homeschooling. Each day is packed with activities. Arrive well rested. Virginia Girls State has a registered nurse on staff to address minor medical issues. In the event a delegate becomes ill a Virginia Girls State representative will contact the delegate’s guardian and a plan will be formulated. If the event is an emergency, EMS (Emergency Medical Services) will be called. Because Virginia Girls State is a strenuous program, we are not prepared to manage health concerns that will limit a delegate’s full participation. If you have any special needs, contact the director so we can work together to make this event a successful one. Please note: all extra costs associated, will be the responsibility of the sponsoring unit. Girls State is an opportunity to learn about one’s self and others. Living in dorms for the week, each delegate will be assigned to one of 14 “cities”. 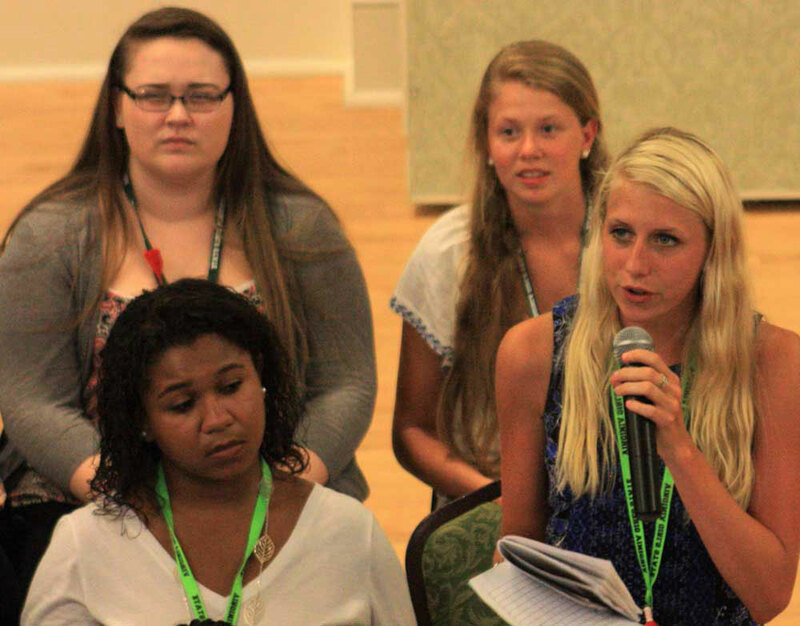 These 14 cities will comprise the Commonwealth of Virginia Girls State. In this program, delegates are afforded the opportunity to actualize government by living and working with other leaders from across the Commonwealth. while developing friendships that last a lifetime. The American Legion Auxiliary provides a nonpartisan environment for young women to understand the issues that face our country and develop their own views, while being engaged in leadership and citizenship activities. Delegates will have one or more roommates. Any concerns regarding roommate pairing will be discussed with the delegate, her roommate(s), the Director and Assistant Director. 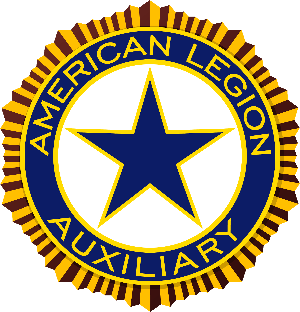 Delegates are selected by local units of the American Legion Auxiliary whenever possible. Each ALA local unit determines its own process for selecting delegates and contacts the high schools in its area. If your school hasn’t been contacted by a representative from the ALA District or a local unit then you may follow the steps below for help with the application process. 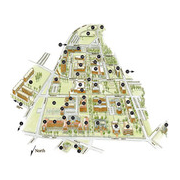 Using the map below, locate your hometown or high school to determine your district. Contact the registrar of your district via email for the assistance with the application process. 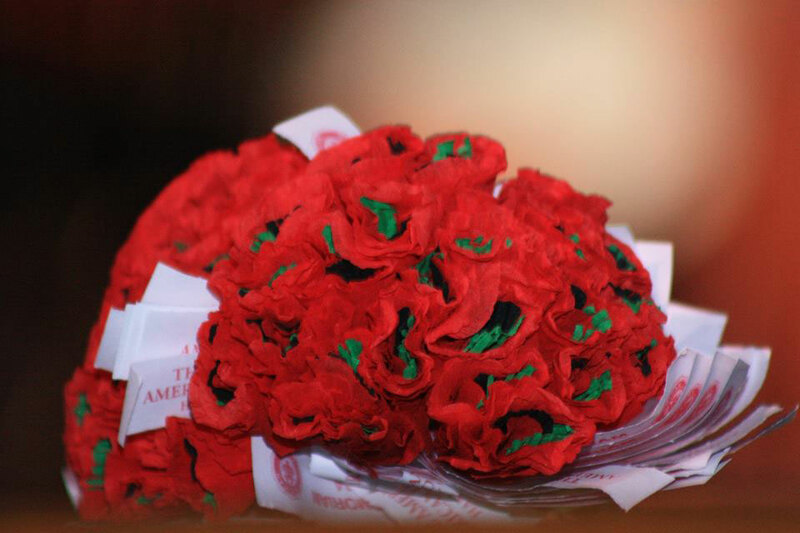 At every session, ALA Virginia Girls State shares poppy pins made by veterans at the VA hospital in Hampton. We proudly wear these gems. 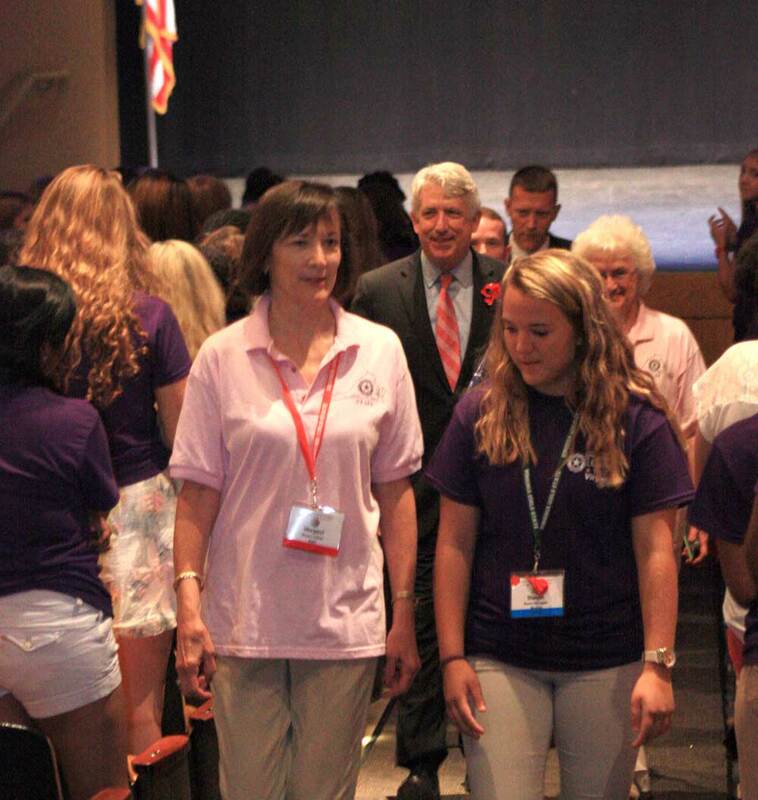 Every year, ALA Virginia Girls State sends two senators to Girls Nation.